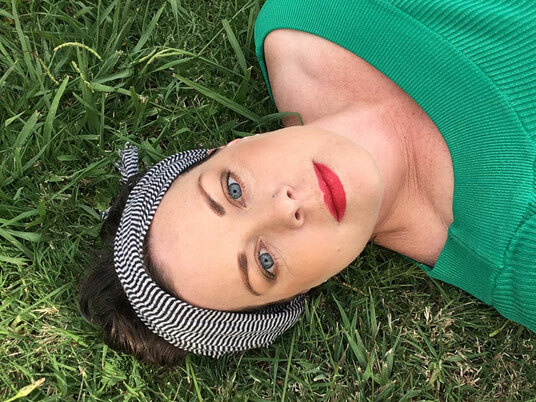 Phoebe Rae, Founder of Faces of Gippsland just turned 40. Midlife crisis in full-swing, she shares 40 gems of wisdom with raw insights, joy and a sprinkle of humor. Enjoy ! It’s 40 years since my mother gave me life. Apparently it was an easy and short labour. Mum said that was a breeze compared to my toddler tantrums that lasted until from 2 until about 25. I think I know who I am and am ready for whatever 40 throws at me. But I was equally reluctant to go to sleep on my birthday eve fearing I’m really not ready at all! I spent 40 years saying that I didn't know what I wanted to be when I grew up. Well I grew up and there is not any greater mystical clarity I've found. 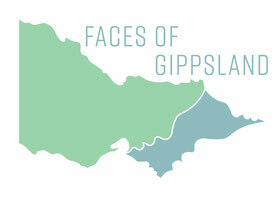 I’m pretty chuffed to say ‘I’m a writer’ and love the little project @facesofgippsland that grew from a small idea to a real life thing. After 40 years of successes and failure and more glorious failure, I’m content with the life lessons learned and the paths I’ve walked. Married for nearly 13 years to Australia’s most patient man. Mother and Step Mum to some rad humans; my all-time greatest achievements. This is me. Writer, wife, mother, daughter, sister and friend. 1. Don’t put up with uncomfortable underwear or painful shoes. 2. Invest in a good pillow. 3. Always say yes to dessert. 4. Don’t wait until the right time to do anything that burns with a flame inside you. Just dive in and do it. 5. Put yourself first more often than feels comfortable. 6. You cannot change others, only how you behave and respond to those around you. 7. Take care of your teeth. 8. Motherhood guilt never goes away, minimise the effects of it on you and your kids. 10. Carbs are your friend, but like that toxic friend you should see less than you do because you always leave their company feeling funny. 11. Make time for a weekly bath and don’t hop out until your fingertips are wrinkled. 12. Find a soap box and stand on it when a cause stirs your heart. 13. Remember saying nothing sometimes speaks the loudest. 14. Some say you’ll never regret doing the dishes before bed. But seriously, if you’re tired just go to bed. By the time you do the dishes then trip over a load of washing and notice the dog hasn’t been fed... you’ll likely crawl into bed and be wide awake. 15. Learn to recognise your inner voice and listen to it. Sometime when it’s loudest we can barely hear it and when it’s quietly urging us, it’s so loud it cannot be ignored. 16. Listen to your parents. Then do what want to do with you own life; just know they’re often right. 17. The midlife crisis is underrated. Give it a crack, at least once. 18. Get a pet and treat it like the king or queen of the house. But not a fish, never get a pet fish. 19. Be silly whenever you get the chance alone or with a friend. 20. Live your dreams and never stop dreaming up your best life. 21. Be kind to yourself on the doona days. When a friend is stuck in their funk on a doona day, bring chocolate and your comfy pjs and join them under the doona. Then run them a bath find their toothbrush and take them for a walk in the sunshine. 22. I still cannot find a valid reason that flies exist. Buy a fly swat or a pet gecko. Accept their odd and irritating existence. 23. When you find your people, cherish them. Although sometimes they will stop being your people. Grieve and then don’t be afraid to find new people. 24. You cannot have too many people or too few. All we need is at least one. Got that, find at least one people. 25. Be creative. Some people do it with order, others with chaos. No way is right or wrong. 26. Fall asleep at least once, close enough to the beach to hear the waves crash. Not too close to wake up wet. 27. Find a place to see the stars away from the city lights. You will see it through new eyes. 28. Live in the country and appreciate the city anew. 29. Live in the city and appreciate the country anew. 30. Travel. Full stop. Just do it. A weekend. A month. A year overseas; whatever you can make happen. Do it. 31. See that place you’ve always wanted to see. 32. Take a trip and leave your camera at home. Capture memories in your minds eye. Soak in the sights, smells and experiences of all five senses. 33.Print some pictures to put around your home, don’t let them exist on the cloud. 34. Back up the hard drive. Get it sorted and protect the memories. 35. Move. Shuffle, run, swim, do yoga; do something and preferably everyday. Use it or lose it. 36. Turn off your lights. Use less water. Eat less meat. Reduce. Reuse. Recycle. 37. Refuse that plastic packaging. Say no to straws. Use your lips. 40. Don’t be afraid of turning 40, I hear it ain’t so bad.